An uptick in the economy and the resulting low unemployment rate has naturally been met with applause across all corners of the country. But that good cheer has also had an impact in some professions, one being school bus drivers — particularly across different areas of Illinois. As a new school year gets underway, school officials interviewed for this story gave mixed accounts when asked about the state of employment for persons responsible for transporting students to and from school each day. 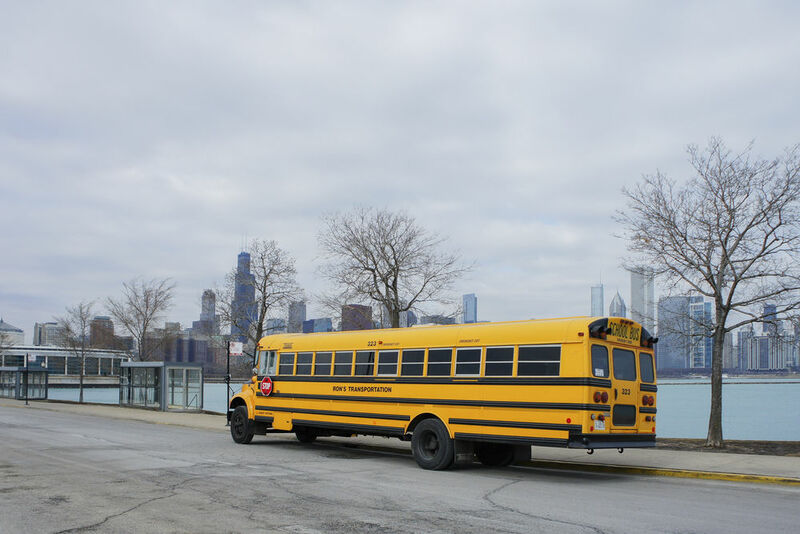 In the metro Chicago area, data from the U.S. Bureau of Labor Statistics revealed bus companies contracted by school districts employed upward of 14,000 drivers across the region five years ago. Today, that figure has been trimmed to under 11,000 drivers — a figure revealing the struggle to fill positions in Chicago’s suburban districts. The shortage is occurring even as most of the private companies have risen wages and tried sweetening deals with other perks. In Central Illinois, a portion of the state with record lows in unemployment, needs have varied across different counties. Beth Crider Derry, regional superintendent of schools in Peoria County, said the need within her jurisdiction is especially pronounced in the district serving city of Peoria students. The ongoing need for qualified, long-tenured drivers has grown to such a point that Crider Derry said Peoria school officials have looked to partnerships to bring qualified candidates into the driver’s seat of a bus. 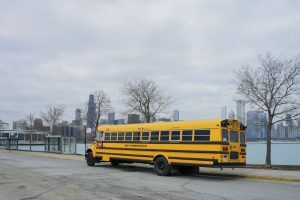 The Chicago region alone has seen a drop of 3,000 fewer school bus drivers from 2013-18. In nearby McLean County, the picture is more optimistic, though Regional Superintendent Mark Jontry said he can understand why some districts and busing companies have been grappling with shortages. “As the economy has improved, I am sure the ability to attract and retain drivers has continued to be a priority in the face of workforce competition,” Jontry said. Several districts within Jontry’s jurisdiction did face well-documented shortages several years ago. In the McLean County Unit 5 district, which serves Normal and outlying areas, needs were so pronounced at the start of the 2016-17 school year that students were arriving to school late because of delays. Unit 5 officials switched busing contractors in the aftermath of the fiasco. In early August, the Unit 5 School Board heard from a representative of First Student, the Cincinnati-based transportation provider that more recently has contracted with the district. At the board meeting, Mark Bohl of First Student gave an overview of how service went in the 2017-18 school year and offered up insight on how he envisioned transportation this fall. Unlike some sections of the state, Bohl at the board meeting said First Student has an adequate number of drivers — 154 total — to serve Unit 5. The minimum number to properly staff each bus route across the district has been set at 150 drivers. Last year, Bohl said First Student notched a near perfect 99.38-percent on-time arrival of all runs across Unit 5. “It will be a good school year again (this fall),” Bohl said to the Unit 5 board. First Student also provides busing to many districts in the north central portion of the state, including Winnebago County, where recruitment is an ongoing process. Scott Bloomquist, assistant regional superintendent, said needs across his area are proportionate — from large districts to smaller ones. “Large districts, such as Rockford and Harlem, and smaller districts, such as Winnebago and Pecatonica, are always in need of drivers,” Bloomquist said.